Dr Zees Loveline. What To Do About Anger, Good Caring, Active Imagination, Rekindle Relationship, Happy Love Relationships. In Love You Could Shine Like A Brilliant Star. Fortune Cookie. and you will call it fate. can't be true to anyone. What To Do About Anger. Good Caring. Active Imagination. Rekindle Relationship. Happy Love Relationships. In love you could shine like a brilliant star. "in love you could shine like a brilliant star" - the words burned into me. I had not loved like a brilliant star. Loving didn't come easily to me. Still doesn't. Thinking comes easily. But loving. No. Hard to reach out. And also hard to feel strong intense flowing love. And yet the words burned in me. Something in me went, yes, I could do that. I knew that somewhere I had it in me to do that. It's been years. I'm still not an expert on loving. But I still like that fortune cookie. And loving and also grieving have changed my life, over and over. 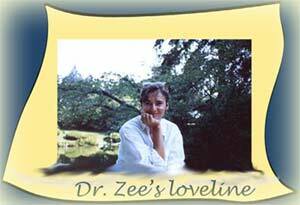 So what is Dr Zee's loveline about, if not inspired words from an expert on love? how to create happy love relationships. no Dr Phil, no Oprah, no Ann Landers, no Dear Abby. and part of huge worldwide changes. 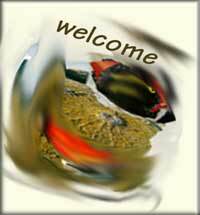 personal growth, self-exploration, self-awareness, self-knowledge. It's as big as anything that's happening with technology. we're learning how to make things better between people, time after time. this is an area where I'll never stop learning. I heard of a study done on a group of nuns. narrower ways of speaking were the most likely to be senile. I know it isn't that simple. and every other form of age-related mental disability. in my mind, in my life, in everything, to keep exploring. And there is very little I find more interesting than love. Love - something we need to flourish. So this is Dr Zee, exploring. And perhaps you're on your own exploration. I might be a mini advice-giver. But that, I realize, is not my role. There are so many other people for that. Plus I'm only one person - I can't stretch that far, not with all the other parts of my life. So I've moved to something smaller, something that fits better. and maybe you'd like to add yours. For the earlier versions of my vision of the LoveLine, click here. "In love you could shine like a brilliant star." Message from a fortune cookie. deep inside ourselves, is possible? we've always known is possible.